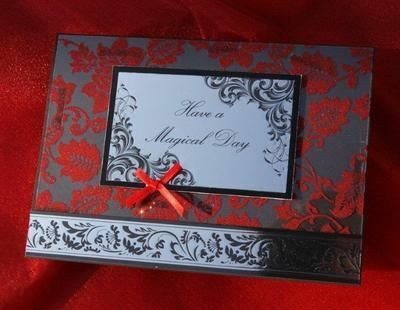 A black 126 x 178mm card overlaid with glittered red lace acetate trimmed with a matching foiled border. 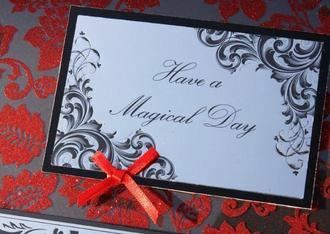 The foiled silver greeting reads 'Have a Magical Day' and is matted onto black embossed card, trimmed with a red bow. The message on the paper insert reads 'Best Wishes'. 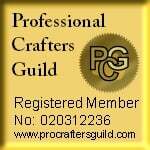 The price includes a tissue-lined box trimmed with a matching border.